The Chrysler 300 stands out from the crowd, and if you are looking for a new or preowned model, come visit us at Vance Chrysler Dodge Jeep Ram in Guthrie, Oklahoma. You may think we sound small-town, but we have a big city inventory and a customer service rating that can’t be matched. 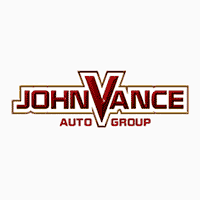 We are closer than you think and it is so worth it to make the short 10 minute drive north of Edmond or 30 minutes north of downtown Oklahoma City on I-35 to Guthrie, OK. Vance Auto Group has been faithfully serving Oklahomans for over thirty years. It is our mission to help you find the vehicle that is just right for you. We have nine full service dealerships which means a giant selection of used vehicles for you to choose from. If you are looking for a new Chrysler 300, come see us in Guthrie. The exterior of the Chrysler 300 is distinguished and makes an elegant statement. The performance makes you want to take the scenic route since it is such a pleasure to drive. In fact, The available 5.7L HEMI® V8 engine provides Best-in-Class 363 horsepower and 394 pound-feet of torque. The 300 has amazing responsiveness to the road and you can drive it in sport mode or it will practically drive itself. The interior is loaded with luxurious detail, including the ability to customize with up to 16 interiors to choose from, so you can outfit your Chrysler 300 in classic family style or modern luxury. Drive with confidence in the standard and available safety and security features, like Full-Speed Forward Collision Warning with Active Braking, designed to give you outstanding peace of mind. Check out the available Adaptive Cruise Control, Lane Assist features, Blind Spot and Assistive Parking Features. Stay informed and entertained as you drive with Uconnect® 4C and available Uconnect 4C NAV. Both systems feature an 8.4-inch touchscreen, Android Auto™ integration, Apple CarPlay® support, integrated Voice Command, Bluetooth® Streaming Audio and SiriusXM. The available Uconnect 4C NAV adds Navigation, SiriusXM Traffic Plus and SiriusXM Travel Link, both with five years of service included. Come see us and our Chrysler 300s at Vance Chrysler Dodger Jeep Ram in Guthrie, OK to see why Oklahoma loves our dedication, friendliness and service to our Oklahoma neighbors.